Upper Yoder Township was mandated by the Department of Environmental Protection (DEP) to initiate a Stormwater Management Program as authorized by the Federal Environmental Protection Agency (EPA) regulations in order to improve water quality. Upper Yoder Township applied for their National Pollutant Discharge Elimination System (NPDES) permit for stormwater discharges from small municipal separate storm sewer systems (MS4s) from DEP in the year 2003. Upper Yoder Township's application was approved 4/2/2004 - NDPES permit no. PA 1136120. 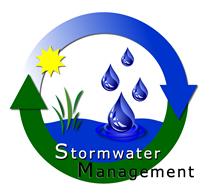 The stormwater permit program is set up with a 5-year implementation schedule. During this 5-year schedule, Upper Yoder Township has implemented a stormwater management program which includes: public education and outreach, public participation/involvement, illicit discharge detection and elimination, construction site runoff control, post construction runoff control and pollution prevention/good housekeeping.